Every week, on Thursday, TMH will highlight a Photo(s) of the Week showcasing the best work from our photography staff. 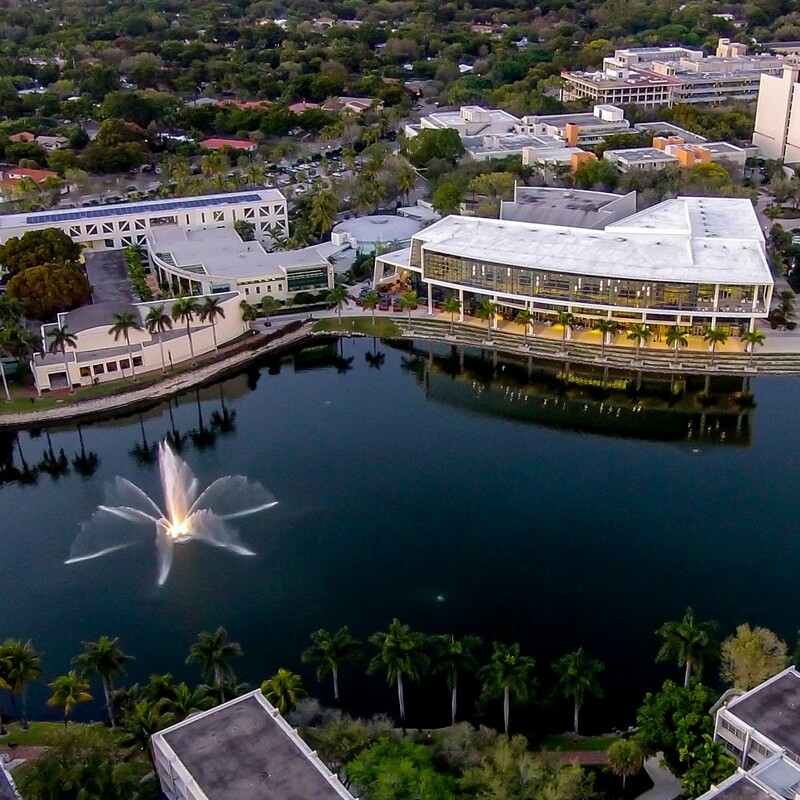 This week we have two photos from Contributing Photographer Baron Alloway, taken from the sky above the University of Miami using a drone. Check themiamihurricane.com for future Photo(s) of the Week. A UM tradition since 1986, Sportsfest will feature a variety of contests for the different residential colleges on campus. The competition will begin at 3 p.m. with canoe races on Lake Osceola, followed by a torch run at 4:45 p.m., and opening ceremonies at 5 p.m. on Friday, Feb. 6. Closing ceremonies will take place at 8:30 p.m. on Saturday Feb. 7 on the Intramural Fields. All events are free to students. The Institute for Cuban and Cuban-American Studies’ will be holding its Cuban Studies Certificate Program for those interested in Cuba and its future. The program will involve classes for the two-week program from 6:30 – 8:30 p.m., beginning on Feb. 9-19. UM students, staff and alumni receive a 20 percent discount on the $395 cost per person. The deadline to enroll is Friday, Feb. 6. For more information, contact Jennifer Hernandez at 305-284-5386 or j.hernandez35@miami.edu. The Ibis Yearbook invites students to take their yearbook portrait if they “woke up flawless,” as suggested in their text message campaign. Portraits are free for underclassmen and graduate students and seniors can make their appointments at ibisyearbook.com for a $25 fee. Follow the sassy girl emoji to the second floor of the Student Activities Center (SAC) every day from 10 a.m. to 6 p.m. until Friday, Feb. 13. Starting Monday, Feb. 16, students can find the emoji located on the first floor of the University Center (UC). University Christian Fellowship is hosting International Friend Day, giving students the opportunity to meet other international students on campus and have lunch together. The event is free to all students from 11 a.m. to 1 p.m. on Sunday, Feb. 8 in Eaton Dorm Classroom 148. To RSVP, message ucfintl@gmail.com by Thursday, Feb. 5.